To truly appreciate these products, you have to try them. I found out about these on Facebook and decided to try them, and I am so glad I did. This is marketed as a natural botox alternative and it really is! It’s a thick, yellow cream with a lovely scent – you can apply it over top of your normal moisturiser or serum, or just use on it’s own. Once you apply it you need to avoid touching your face for a couple of minutes to allow it to sink in – it slightly tightens your skin (in a nice way), and visibly reduces any fine lines or wrinkles. Since using this my skin has improved 10 fold, I am devoted. What are you waiting for? 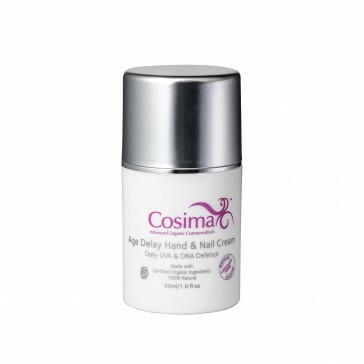 because every man, woman and child needs the Cosima Flawless Serum in their life. "This is my Benjamin Button eyecream. I used to have lots of fine lines around my eyes, partly from lack of sleep, partly from normal ageing, laughing, squinting in the sunshine etc. Since using this, they have all disappeared. It really does feel like I have started to age in reverse!!. The bottle has a pump on top and dispenses the perfect amount of a luxurious yellow cream that glides around the eyes and then absorbs beautifully. You only need a very small amount and you can visibly see the skin tighten. Over time my wrinkles have completely disappeared, I use this every single night before bed and I adore it "
My skin has never felt or looked better. I have never had 'bad skin' as some would say but it is definitely far from perfect. The range I had been using for years was no longer being distributed in nz so I visited my local beauty salon and forked out over $500 for these amazing, skin perfecting, incredible products (I'm sure you can all relate to similar promises) ... Any way long story cut short my skin was a disaster. The worst it had ever been. I continued using it for 3 months to see if anything changed and no, nothing! I was at whits end and I had heard such amazing reviews about Cosima and thought lets give it a shot. I phoned Angela and she provided the best customer service I had ever received. Very informative, helpful and most importantly honest. She explained everything I needed to know and gave me a tailor made programe perfect for me! I was sold! Within 2 days I had received my order and only 5 days later my skin was back to normal. Since then I have never looked back. Angela offers service that you don't find anywhere these days. She is open, willing to listen and extremely helpful. My skin has never looked so good and I have never felt so confident! Thanks to my regular goodies arriving in the post I continuously get asked what I am using and if I am pregnant! I presume it's from the glow my products give me! I have been using your products for two weeks now and I’m absolutely loving them. For the first time after all the years of buying skincare I have actually found a product that I can visually see the difference to my skin. The firming is amazing and although I wouldn’t have ever thought possible, I noticed a difference after two days. I have just seen a member of my family who noticed how glowing my skin was and now wants to order some products. to nominate another brand that would even come close. My crows feet and brow furrows have improved as well as overall skin hydration. I love that your products are high-performance and cruelty-free, as well as certified organic. Love putting them on everyday as I feel I'm doing something special for myself. I have been a product nerd reading ingredient labels and so forth since my teenage years. And not getting very much bang for my buck, if at all. So it's lovely to find a product that ticks all the boxes and then some! All the best and congratulations for creating such a fantastic line. Love that it's from Brisbane too! I wouldnt believe it if I didnt see it with my own eyes but I am seeing visible results OVERNIGHT with your products on reactive sensitive skin! Stocking your products has reignited my love of skincare I can't wait to share it with everyone I come across! When I first purchased your products I was searching for a product that was free of nasty chemicals. My skin is highly reactive and I am unable to use many products due to the many additives they contain. I react very badly and come out in awful blemishes. I have been overwhelmed by your flawless creams and have recommended the range to all my friends. Recently I have had some medical problems which resulted in major surgery. I am now well however I have been left with major scarring. While I was healing, I started applying your hand cream twice a day to my scars and have been blown away by the results! Not only did I heal quickly but my surgeon advised me that he had never seen such fantastic results. The scar site neither raised nor widened and the redness quickly faded. I am now left with an almost unnoticeable scar. I can't begin to tell you how impressed and grateful I am. Thanks again for your amazing products. I have been using Cosima for a week, and am absolutely delighted with your beautiful products! My skin feels hydrated and soft ALL day, never experienced that with any skin care before. A big thank you to Tracey from Touched By Colour for her wonderful advice regarding your range. Can't wait to add the Flawless Eyes to my kit. Love that I am supporting a fantastic Australian product. Wow!! I just used my cosmica skin care range for the first time and I am not kidding its AMAZING! it looks like I have foundation on?? I put the eye cream/botox in a jar on my forehead and the wrinkles literally minimised before my eyes. - AND how amazing they were to use and how amazing they feel on my skin!!! I'm so excited to wake up and use your products again in the morning and can't wait to make my next order with you. Thanks again. Love what your doing and how your doing it. I absolutely adore the FLAWLESS RANGE!! I noticed a huge difference within 10 days! Now that's amazing! My frown lines, rosacea and milia around my eyes. I can't wait to try the face mask, toner and day cream. Your skin care products are the only ones that have ever worked for my skin (adult acne - the one true hate of my life- discoloration and wrinkles) I Love, Love, Love it!!! I seriously can not rave enough about your products! I tell everyone I know about your range - has definately changed my skin for the better!!! Thankyou for making such high quality products that work!!! I am mature aged with very sensitive skin. The choice of products suitable for my skin type are limited. I recently started using Cosima products and have found them to be the best I have ever used. I noticed the benefits from the first application, not only does it feel soothing on the skin but the results are visible. I have lost a lot of weight and people are commenting on how great I look, no wrinkles, and how did I do it, Cosima products! For a long time I used no skin care, but after I hit 30 I realized I needed to start thinking about something! I headed for my local beauty college and started on some good quality product, but never really knew what the ingredients were and didn’t enjoy the high price point! I am so happy to have discovered Cosima’s range. It’s such a great confidence to know that it’s 100% natural. I love the smell and from just 5 days of using the flawless cream morning and night, I can see a visible difference on a ‘flaw’ near my nose’. This product won’t need to be marketed much – it will sell itself! I have been using your Hand and Nail Cream and are very impressed with it. I have very sensitive skin but it has made such a difference. Thank you. 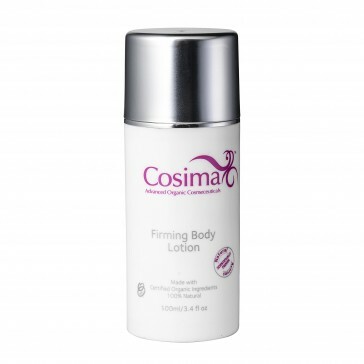 Since using Cosima Skincare Flawless cream I have noticed my skin is smoother and firmer. Finally a product that does what it says! I grew up at the beach and my skin should look a lot more lined than it does, I used to have deep forehead lines, since using Cosima Skincare’s products my line aren’t as deep and noticeable and my skin looks healthy. I have tried many different products but nothing has worked like Cosima and as a bonus it is Natural, I love your Flawless cream I feel it working straight away! I recommend Cosima products to everyone I know. I love that they are free from chemicals and do not irritate your skin. Best of all they feel and smell amazing. The cleanser scent is devine and leaves your skin feeling clean and refreshed. The day cream is rich but light and not at all greasy. The body scrub and clay mask are among some of my favourite products too. All items are very economical as they last for months. Its amazing reading my old bottles of face wash and seeing words on there I couldn't even pronounce and learning how toxic they are. Then comes along Cosima and i am so amazed that everything on the bottle, I know what they are and they are most definitely not toxic...all natural...what an amazing product.